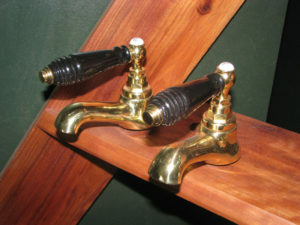 Brass taps for your next Victorian bathroom project! Add a touch of class to any bathroom with the addition of brass taps. Brass is timeless and has massive appeal in any setting. Brass taps paired with a modern bath or with Victorian freestanding baths, these beautiful pieces are rugged and durable, long lasting items that may never need replacing! 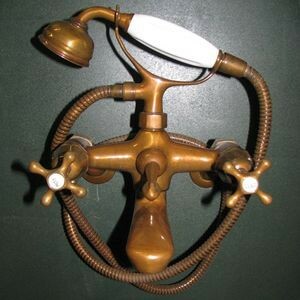 Remember to include your brass shower heads, victorian shower heads, and other brass accessories to complete the look for your Victorian bathrooms. We stock a wide range of beautiful casino custom made Victorian bathroom accessories too, and we”re always ready to advise and help you plan your next revamp or fitment of brand new bathrooms. We have many years of experience in Victorian bathroom styling and all the technical expertise you can rely on to ensure that your project runs smoothly and that the finished effect is nothing short of breathtaking, classic Victorian style! Victorian Brass Taps, or any finish! All Victorian Bathroom finishes for your classic taps. Brass taps, copper taps and more, a wide range in stock at our showroom, and we”ll custom make any tap in any finish. Join us on our Facebook page here get in touch with us and receive ideas, inspiration and advice directly from us.